News Flash for Millennials: You Will Get Old. What Your Future Looks Like, Depends on How You Save Now! 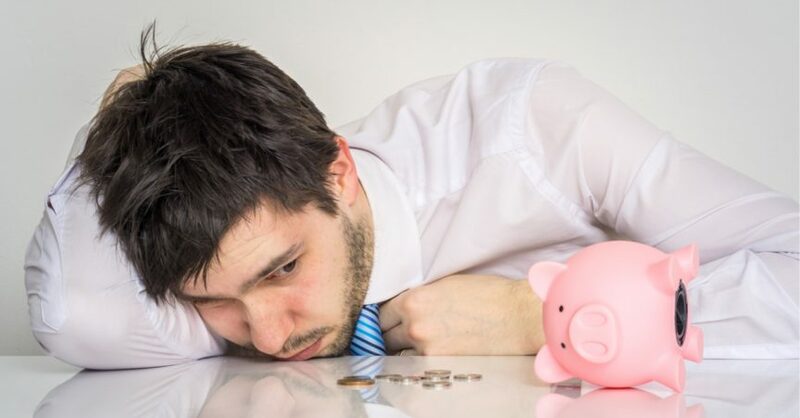 According to a report by the National Institute on Retirement Security, if you are between the ages of 21 and 32, you are probably among 66% who have nothingsaved for retirement. This fact is so alarming that in a rare act of bipartisanship, Congress introduced the Retirement Enhancement and Savings Act of 2018designed to make retirement saving a whole lot easier for everyone. You’ve probably heard that “the Baby Boomers are the last generation of secure retirees.” And you might fear that the stock market is too risky after the financial fiasco of 2008, so you’ve just kept your hard-won savings in a low-interest bank account. But don’t let negative messaging and fear keep you from the retirement you deserve. Time – which means starting today – discipline, and consistent saving and investing even small amounts, can work its magic, allowing you to achieve financial security for your future. The only way to get past these barriers is to confront them head-on by envisioning the future you desire and then acting. Find a financial mentor you can trust or go online to 360 Degrees of Financial Literacy. A public service by theAmerican Institute of CPAs, 360 Degreesis a website chock-full of everything you need to get started tackling your finances. 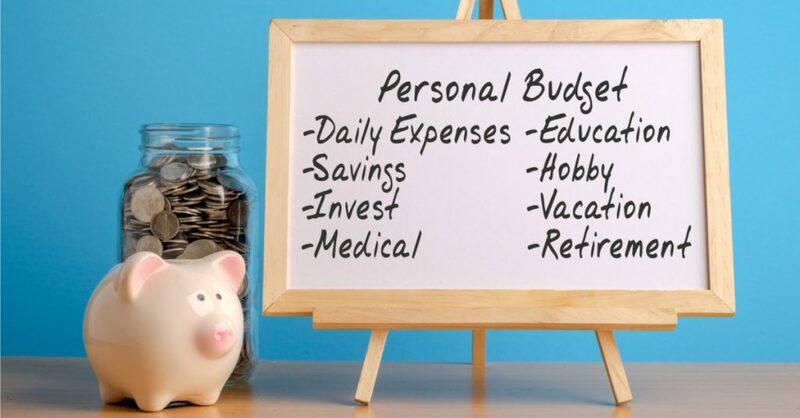 It offers help making a plan,calculatorsfor budgeting, saving and paying off debt, and retirementplanning. Step one, get educated. Step two, get started. Saving? Are you crazy?! I can’t even pay my bills! Debt is said to be the modern form of slavery. If you lie awake at night wondering if your college degree was worth that ball and chain, you aren’t alone. Americans owe $1.5 trillion in student loandebt and $1.2 trillion in credit carddebt, and the interest is killing them. But paying off debt won’t keep you fed and sheltered when you’re old. And you can’t count on the government to take up the slack. While you shouldprioritize paying down high-interest debt, you should also be actively saving for your future security. Make today the day you start a habit of paying yourself first by putting a percentage – experts recommend 15% of each paycheck. If the thought of managing your retirement nest egg stresses you out, choose to contribute to a managed retirement accountor target date fundwith fees less than 1%. Even if you can only afford $50 per month (roughly the cost of 12 Starbucks Grande CaffèLattes), it’s time and the miracle ofcompound interestthat will secure a healthy retirement fund. Allowing $600 to rest in a mutual fund averaging a modest return of 7.00% will net you $13,997 after 45 years, according to 360 Degrees’savings distribution calculator. To find out how proactive contributions can make you a millionaire, check out Bankrate.com’sSave A Million Dollars Calculatorand then invest that amount monthly. Compound interest growth amounts to free money for doing absolutely nothing. But you must start saving now! If you still feel you can’t manage regular paycheck deductions, remember that birthday money Grammy sent? The unexpected $100 bonus and that $10 bill you found on the street? (You know where we’re going with this, right?). As your income grows, you will want to consider some alternative investments: buy a fixer-upper instead of paying for that high-end apartment, and sell it for a profit or keep as a rental; collect gold and silver (no more than 5-10% of your portfolio); or park your emergency fund into a certificate of depositthat has a healthy return. There is awesome news for tech-savvy newbies when it comes to taking the mystery and pain out of saving and investment deposits. Contrary to what you might think, you can get started on your future nest egg for as little as $5.00! Microsavings appslike Acorns.com, Wealthfront.com, and Robinhood.comnot only simplify the process of investing by making it easy and affordable, but they also help with budgeting and financial education. Imagine if you could invest without really noticing? That’s the offer Acorns.commakes, and three million people agree. Specifically geared for new investors with limited funds, Acorns.com allows you to schedule “round-ups,” or automatically-invested spare change from a linked debit or credit card. Over time, these small amounts add up. In addition, partners like Groupon, Expedia, and Macy’s will credit a percentage to your account any time you make a purchase. Using an Android or IOS device, you can also make one-time or recurring investments and change them anytime. You even get referral bonuses when you get your friends involved. You must be at least 18, but there is no minimum investment, and as your stash grows, you’ll have access to experts who can help you diversify. Wealthfront.comis another highly-rated, passive investingapp that helps you prepare a personal financial plan and then execute by facilitating your contributions and managing risk based on your goals. Essentially, you let the experts work for you. One thing to look out for with these apps are fees. Fees are typically free or low initially, but if your contributions are small, even low fees can amount to a large percentage. Take the confusion and hassle out of investing by letting one of these apps do all the work. Finding the app that works bestfor you is the key to consistent saving, so take some time to consider the features, expenses, and optionsof each. Check out your chosen app on one of the many YouTube videos to learn the pros and cons. Step three: Scoop up that free money! That’s right; we said free. If you aren’t taking advantage of your company’s 401(k) matching retirement program by maxing your contributions, you could be extending your retirement date by decades! Many employers offer 401(k)-retirement plans as part of their benefits package for full-time employees. Employees opt in to contribute typically 3 – 6% of their wages in a managed retirement program selected by their employer. These contributions automatically are deducted from your paycheck and can be designated pre-tax (a traditional IRA) or after-tax (Roth IRA). The free money happens because some companies will match your contributions by up to 50%! Here’s an exampleof how this works: Jake starts a new job and takes advantage of his employer’s 401(k) plan. He tucks away 6% of his $2,500 salary into his 401(k) account every month ($150). His employer offers a 50% match, or $75. The combined contributions of $225 along with average investment gains, grow the nest egg to $264,615. Without matching, Jake’s gains will amount to only $176,410 when he retires after 30 years. Keep in mind that most companies require you to stick around for at least three years to receive the matching contributions (called ‘vesting’). Not all employers offer 401(k) plans, let alone matching contributions. But check with HR to see if alternatives like a SEP (Simplified Employee Pension) or SIMPLE 401(k) are available. If not, be proactive and open your own Roth IRA or traditional IRA using one of these highly-rated providers, and automate your monthly contributions directly from your own bank account. Don’t make the mistake of looking back and wishing you had been smart enough to start saving and investing earlier. No one is going to look after you when you are old and depending on Social Security is a fool’s game. Overcome your financial phobiaby staring your money situation in the face. You might feel ill at first, but not as sick as you’ll feel when you realize how much you’ve lost in accumulated debt and unrealized gains. If necessary, get help from a trusted relative, friend, or independent financial advisor. As you get a handle on the numbers and begin to follow a budget, you will gain confidence and control over your money management. Access some of the many online and smart phone apps to pay yourself first and simplify and automate your saving and investing. And don’t forget to take advantage of free money. Check to see if your employer offers a 401(k) plan with a matching benefit and if so, contribute the maximum amount. Dream about what you want your future to look like. With determination, consistent saving, and time, you can make your retirement dreams come true.